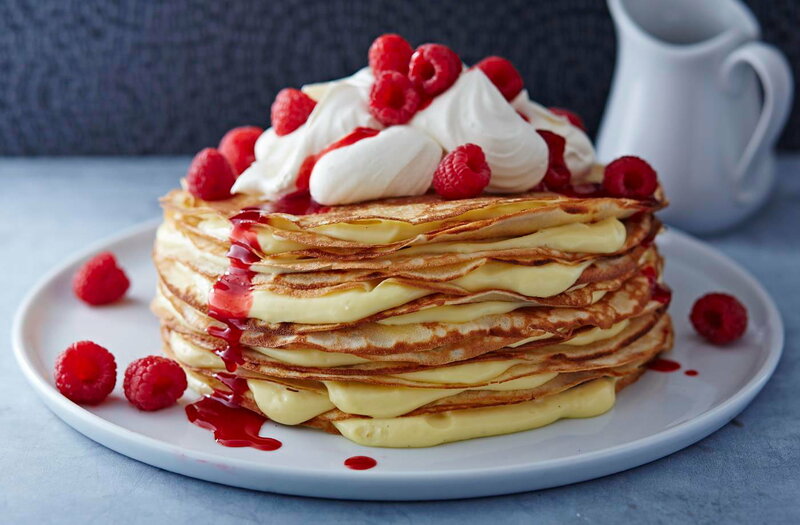 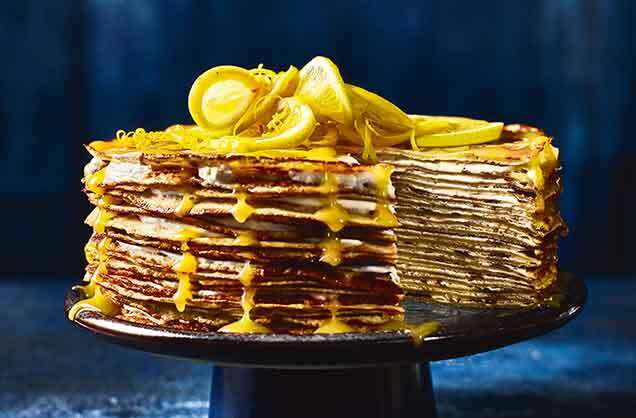 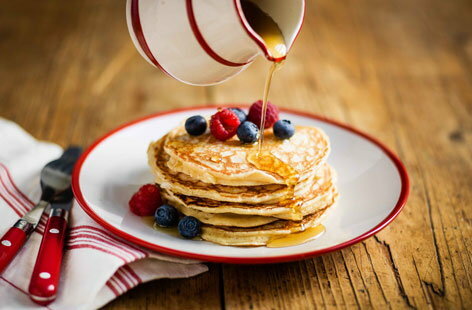 Whether you’re looking for the perfect pancake recipe to douse in lemon and sugar or you want to make a stack of fluffy American pancakes, we have the perfect Pancake Day recipes for the whole family. 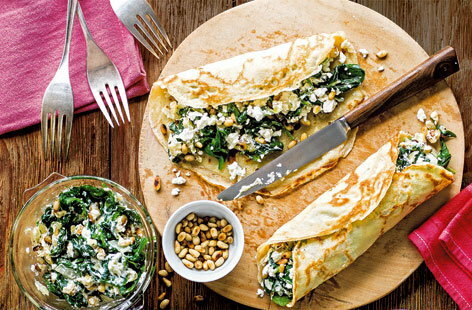 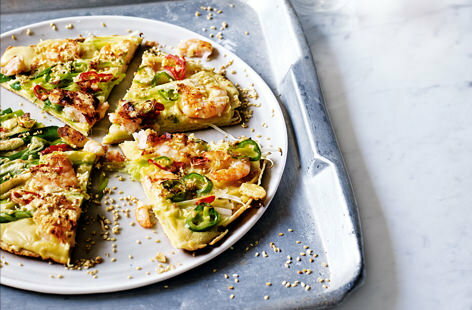 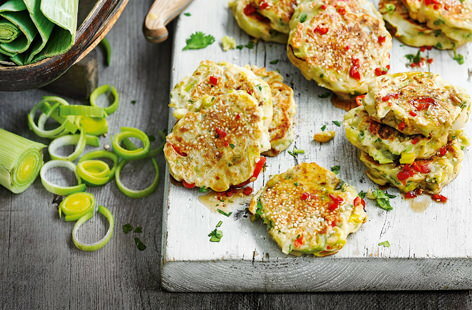 Or, why not try something a little different, and cook one of our savoury pancake recipes - filled with spinach and feta, or topped with prawns and chillies. 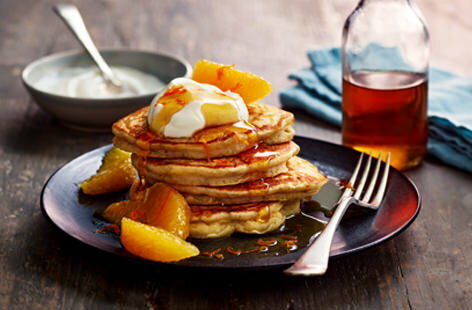 Classic American pancakes are stacked tall, fluffy and best served with a drizzle of maple syrup. 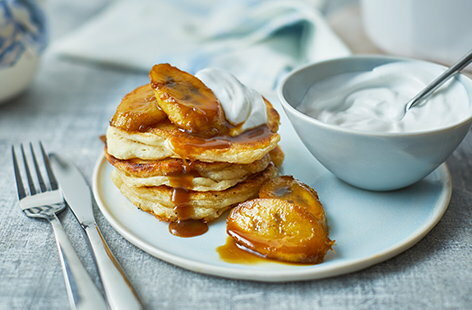 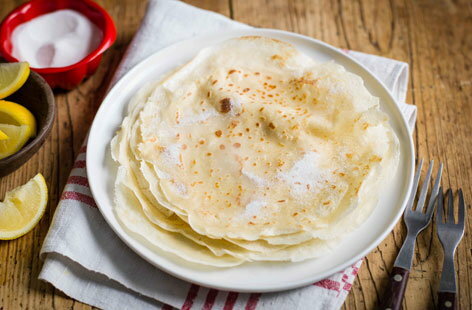 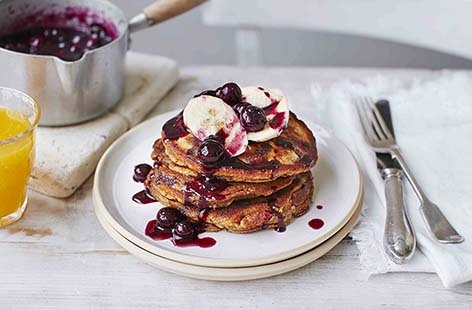 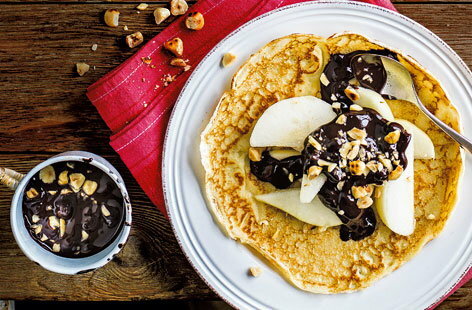 This easy recipe ticks all those boxes - perfect for Pancake Day or a weekend brunch treat. 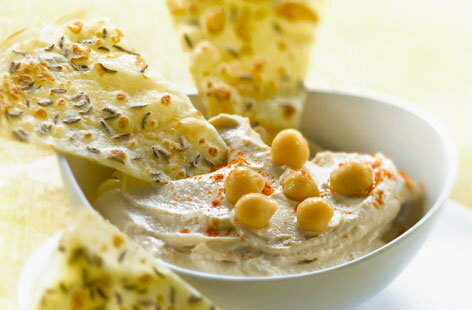 Go beyond cucumber and carrot sticks and try making easy cumin pancakes to dip in speedy homemade houmous. 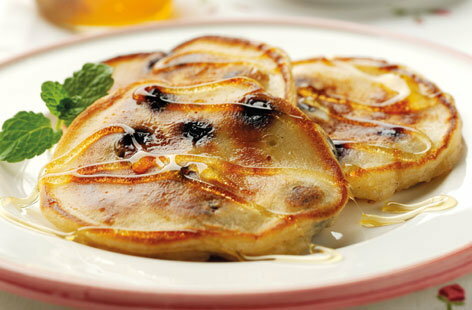 Fried until golden and crisp, these simple pancakes make a delicious healthy snack. How to make lacy pancakes even better? 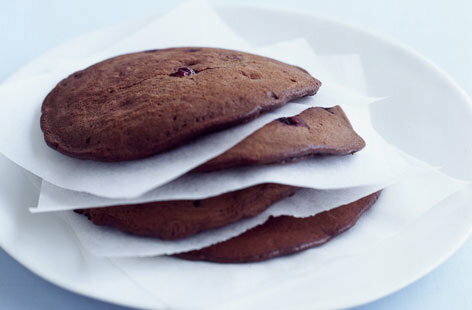 Add chocolate! 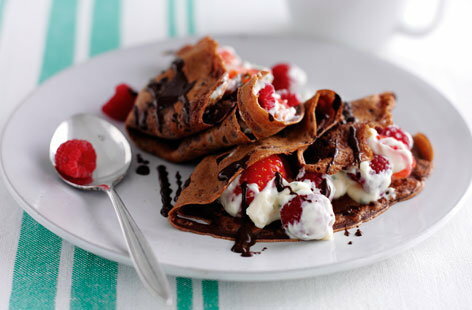 These dark cocoa pancakes are filled with custard, berries and a drizzle of melted chocolate for the ultimate Pancake Day treat.